İbrahim, would you be so kind to introduce yourself and your school to our community? As far as we know, you are a university student, right? Could you please tell us about your education career and university? study International Trade in Bogazici University. When did you develop affection for the work of the UN and how did you decide to start being an MUNer at your school? which were interested in languages. He supported us for beginning the journey of MUN. We are eager to get to know your Model UN club if there is any. Tell us all about it. around Turkey. We have a couple of university students and high school students with us. 5.Moving on from your school, tell us more about school Model UN conferences in Turkey. 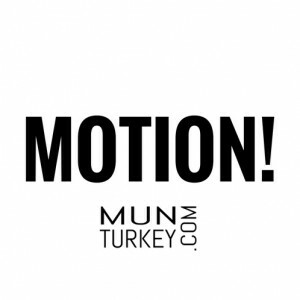 Are we good at organizing MUN conferences in Turkey? schools started to use their resources in order to produce quality events such as “School Mun”s. 6.We discussed the benefits of Model UN for young minds with numerous speakers. Even though there is a general consensus on which skills are developed while attending MUNs, there is no consensus which is the top three. In your opinion, what, are three most crucial skills MUNs help develop? they’ll use in their future careers. How many MUN conferences have attended? Could you please tell us more about you and your MUN career? I’ve attended more than 15 MUN conferences. In most of them, I was a committee director. now I’m Deputy Director General for Bodrumun 2017. You are the Deputy Director General of BODRUMUN’17 and you are about to organize BODRUMUN in 2017. Can you tell us more about it? Working with young people and mostly close friends is a pure joy. Could you please tell us more about your team and executive board? with having a long MUN career and also being in the part of the organization. As far as we heard, you are providing one-way flight ticket if there are early attendees. Is it true? Could you please mention about attendance fees and venue? Let’s wrap this interview by giving one final useful advice for all MUNers. What would your advice be? And why they should attend BODRUMUN 2017? know it is a fact not a dream, everyone should come and take a part! Special Interview with SG of UCIMUN Diogo Rodeiro - MUNTurkey.comChair Bank of MUNTurkey! First in the world!